As well as having some of the most stunning and varied landscapes you’ll ever set your eyes on, New Zealand has some pretty cool cities too. Coastal cities, cities dotted with volcanoes, cities with a geothermal park as it’s city park… Knowing the biggest cities in New Zealand is not only a good way to understand the geography of New Zealand, but it sure helps when visiting or looking to settle down for a while on a working holiday. New Zealand’s cities are often where you’ll find an abundance of work opportunities ideal for saving up for the next leg of your travel. They are also a great place for play. For this reason, we’ve put some city accommodation guides to help you get settled, along with useful links on what there is to do in each city, public transport, etc. 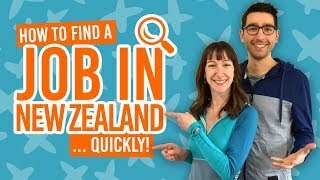 So pick your city in New Zealand, and start planning from there! It’s no secret that Auckland is New Zealand’s largest city both population and landmass-wise. In fact, Auckland has a larger population than the whole South Island! With a huge choice of regional parks mixed with bush and beach, beautiful island getaways in the Hauraki Gulf, and the conveniences of a city, Auckland has many appealing aspects that may draw you to stay for a while. When looking for accommodation in Auckland, whether its short-term or long-term, take a look at our Accommodation Guide to Auckland City Central and Accommodation Guide to Auckland. You’ll also find more information on the city centre and suburbs in these guides: Auckland Central – Guide for Backpackers and Auckland Suburbs – Guide for Backpackers. Location: For more information on getting around Auckland and things to do, start with Public Transport in Auckland and 14 Free or Cheap Things to do in Auckland. Surprisingly, New Zealand’s capital city is not its largest, but it has been dubbed the world’s “coolest little capital”. In a city where there is always something happening, surrounding districts of wine, coast and mountains, and heaps of creativity, Wellington is a popular choice for backpackers to stay a while. Check out our guides on Wellington City Centre, Kapiti, Wairarapa and Hutt Valley. When looking for accommodation in Wellington, whether its short-term or long-term, take a look at our Accommodation in Wellington Central and Accommodation in Wellington. Location: For more information on getting around Wellington and things to do, start with Public Transport in Wellington and 11 Free or Cheap Things to do in Wellington. The South Island’s largest city is not only teaming with work opportunities for backpackers, but the art work, views from the Port Hills, and surf beaches entice many to explore. Take a look at Christchurch – Guide for Backpackers for inspiration on what do do in Christchurch. When looking for accommodation in Chrsitchurch, whether its short-term or long-term, take a look at our Accommodation Guide to Christchurch City Central and Accommodation Guide to Christchurch. Location: For more information on getting around Christchurch and things to do, start with Public Transport in Christchurch and 10 Free or Cheap Things to do in Christchurch. Situated on the banks of the might Waikato River, Hamilton is the centre of the Waikato region. The Hamilton Gardens and its nightlife are a drawcard for the city centre, but the city makes a good hub for visiting the likes of Raglan, Hobbiton and Waitomo. For more information on the Waikato region, check out Waikato – Guide for Backpackers. When looking for accommodation in Hamilton, whether its short-term or long-term, take a look at our Accommodation Guide to Hamilton. Location: For more information on things to do, start with 10 Free or Cheap Things to do in Hamilton. The coastal city of Tauranga is close to many fruit picking work opportunities, as well as the popular beaches at Mt Maunganui and Papamoa. Enjoy road trips to glowworm dells and waterfalls in the Kaimai-Mamaku Forest Park. When looking for accommodation in Tauranga, whether its short-term or long-term, take a look at our Accommodation Guide to Tauranga. Location: For more information on things to do, start with Tauranga and Mt Maunganui – Guide for Backpackers and Bay of Plenty – Guide for Backpackers. Surrounded by vineyards and close to beaches, bike rides and walks, Napier and Hastings are super popular cities for backpackers looking for work and sun! Explore the art deco architecture of Napier, or hire a bike and taste delicious food and wine around the Hastings area. When looking for accommodation in Napier/Hastings, whether its short-term or long-term, take a look at our Accommodation Guide to Napier/Hastings. The student city has lots to do in terms of wildlife spotting on the Otago Peninsula, visiting the world’s steepest street, biking the Otago Central Rail Trail, and stepping back in time in what could be described as the most European-style city in New Zealand. When looking for accommodation in Dunedin, whether its short-term or long-term, take a look at our Accommodation Guide to Dunedin City Central and Accommodation Guide to Dunedin City Central. Location: For more information on things to do, start with Dunedin – Guide For Backpackers and 12 Free or Cheap Things to do in Dunedin. An extremely affordable city to settle for a bit, work and play, Palmerston North is the Manawatu region’s hub. Explore the hikes of the Manawatu Gorge, visit Te Apiti Windfarm, discover beaches, and more! When looking for accommodation in Palmerston North, whether its short-term or long-term, take a look at our Accommodation Guide to Palmerston North. Location: For more information on things to do, start with Manawatu – Guide for Backpackers and 12 Free and Cheap Things to do in Manawatu. With pumping surf waves on one side of the city and the stunning cone-shaped Mt Taranaki on the other, New Plymouth has the best of both worlds. No wonder so many Kiwis call it home. Not only are there a huge amount of outdoor experiences to be had surrounding the city, New Plymouth has a great emphasis on the arts with a number of art galleries and street art found around the city. When looking for accommodation in New Plymouth, whether it’s short-term or long-term, take a look at our Accommodation Guide to New Plymouth. Location: For more things to do in New Plymouth, check out New Plymouth – Guide for Backpackers and 10 Free or Cheap Things to do in New Plymouth. The sunniest city in New Zealand is a no-brainer for those who seek good weather. With four national parks in driving distance, Nelson is a great base for your wilderness trips. When looking for accommodation in Nelson, whether its short-term or long-term, take a look at our Accommodation Guide to Nelson. Location: For more information on things to do, start with Nelson – Guide for Backpackers and 10 Nelson Tasman Must-Dos. Although both of these cities are too small to make the list, Rotoura and Queenstown are bustling tourist hubs with a fluctuating seasonal population. Rotorua is a hub for geothermal activity. Even in the city parks you can watch the bubbling mud as the heat of the earth pushes up to the surface. Geothermal parks, mountain biking, Maori culture, hikes and more are what’s on offer in this North Island city. Queenstown, on the other hand, is surrounded by mountains and dubbed the “Adventure Capital of the World” thanks to its great deal of adrenaline activities. When looking for accommodation in Rotorua or Queenstown, whether its short-term or long-term, take a look at our Accommodation Guide to Rotorua and our Accommodation Guide to Queenstown. Location: For more information on things to do, start with Rotorua – Guide for backpackers, 10 Free or Cheap Things to do in Rotorua, Queenstown – Guide for Backpackers and 15 Free or Cheap Things to do in Queenstown.